Last Friday evening as I was scrolling through my twitter feed, I discovered that Victoria Square's 'Dining in the Dome' experience was making a comeback! I'd heard a tonne about this event last time it took place, but I couldn't make it down to Belfast in time. Fortunately for me, it just so happened that I was heading up on the Sunday, so I checked out the details and thought I'd give it a go! At £70 for two people, it was a last minute expense, but if you break it down, at £35 each for two people who rarely drink, I think it's quite justifiable (although I could probably justify anything). ANYWAY, YO! Sushi was on Sunday night's agenda, so that was us sold. I often pop into YO! Sushi, grab a plate or two from the belt and off I go. 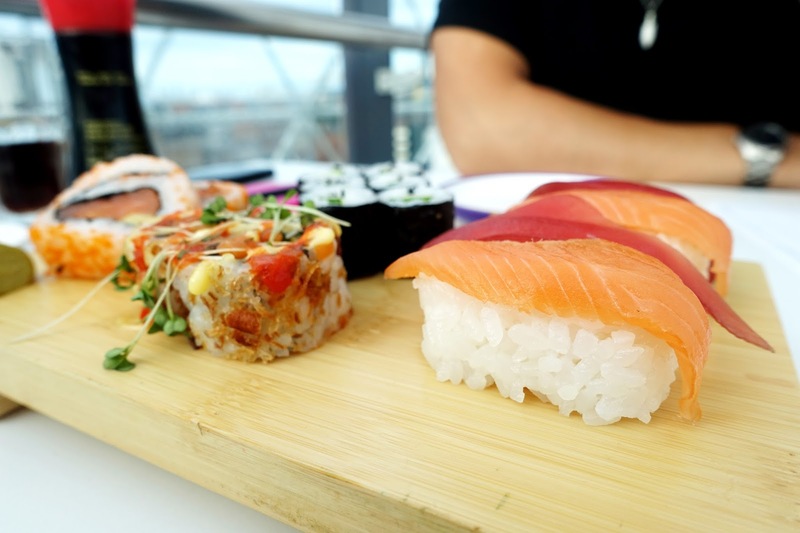 Their sushi is fresh, the conveyor belt is convenient as you don't need to sit there analysing the menu - you can just take a plate, munch, pay and go. It's also a very modern sushi joint, with funky menus which feature snippets from Japanese pop culture and fashion along with J-pop music videos playing on the TVs, it's a lot more fun than the traditional wooden chairs etc. This time though, we weren't dining in the restaurant. We went for a unique YO! 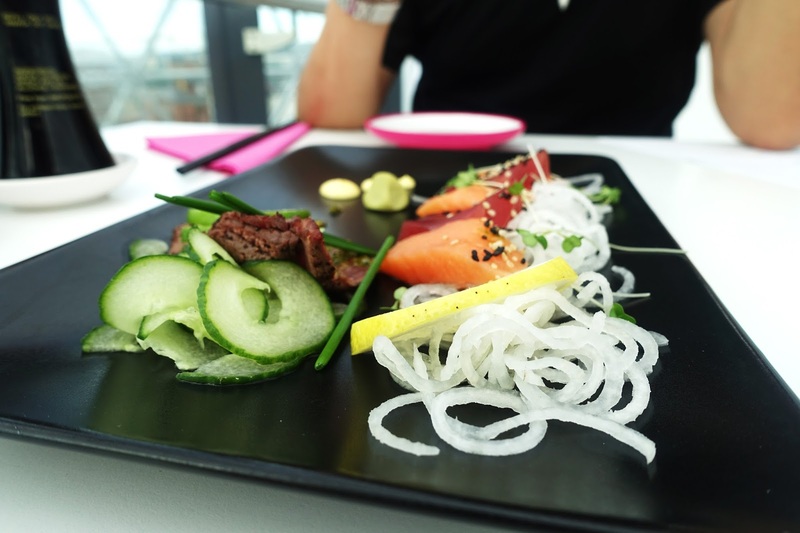 Sushi experience in Victoria Square's dome. 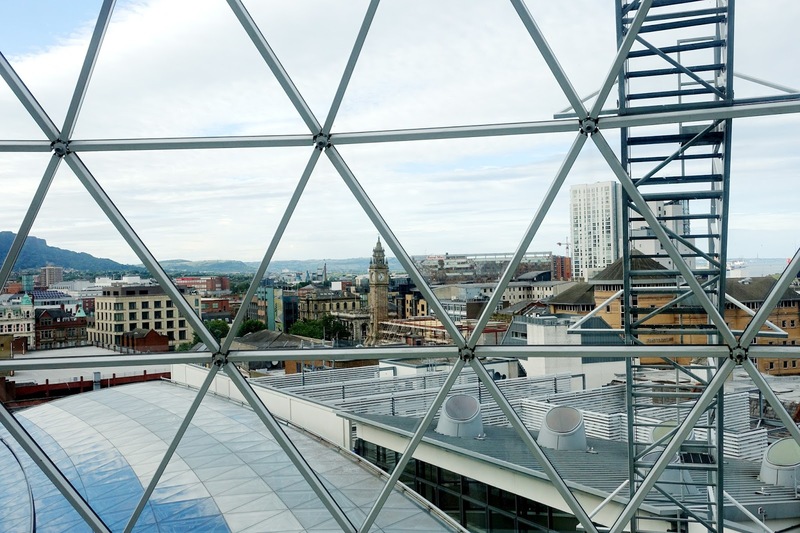 From the dome, you can see Belfast's whole skyline, including the Harland and Wolff cranes and the Albert Clock. The panoramic view of the city was breathtaking, like being in a helicopter but we were lucky enough to gaze down at the city with sushi. The dome was decorated with fairy lights, greenery and rose gold furniture, and because there were so few people there, it felt very intimate. They kicked off the evening with a crash course in sushi rolling, where we stood around the head chef and watched him demonstrate how he prepares popular sushi rolls & nigiri. We were then allowed to give it a go ourselves and of course, eat them! It was a brilliant way to start off the event. I was a tad tense that we'd have to engage in some awkward ice breakers, but it wasn't that kind of situation at all. I loved how interactive and informational it was. I think sushi is one of those things people are fascinated by, such as how to make it and what to put in inside. I've attempted it many times before but I picked up some great tips. We then waited for our four course meal to begin! We didn't have a specific menu which I was sceptical about at first because I had no idea what to expect. I was just praying we wouldn't be served octopus tentacles. Luckily, we got off lightly and I was happy with everything they dished out, and I tried some really different dishes that I never would have ordered before! Our starter consisted of salmon and tuna sashimi along with some raw-ish beef on a coriander based sauce, which is something Adam and I without a doubt, always order. For our second course, we had salmon and tuna nigiri, a couple of tiny cucumber sushi rolls, a salmon and avocado maki each and these amazing firey hot dragon rolls which had came with a spicy red sauce on top. I need to find out what this sauce is and put it on everything I ever eat - it's DELICIOUS. 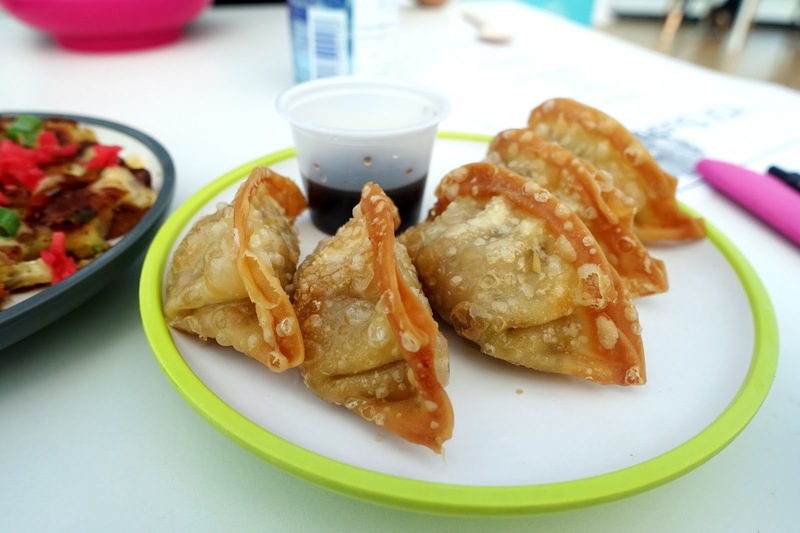 For our main, we were served dumplings (wooohoooo!) 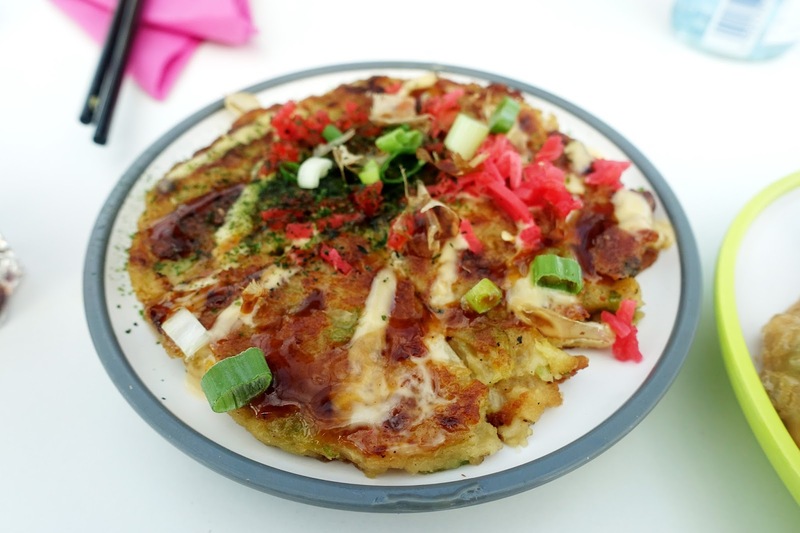 and cabbage pancakes along with chicken in batter and rice! I probably never would have tolerated ordering the pancakes in the restaurant, but I was surprised by how good they actually are! For dessert we had apple dumplings which were just like apple pie. We also had a slice of matcha cake which reminded me of a swiss roll with beans inside. It was all topped off with some chocolate and banana pocky! 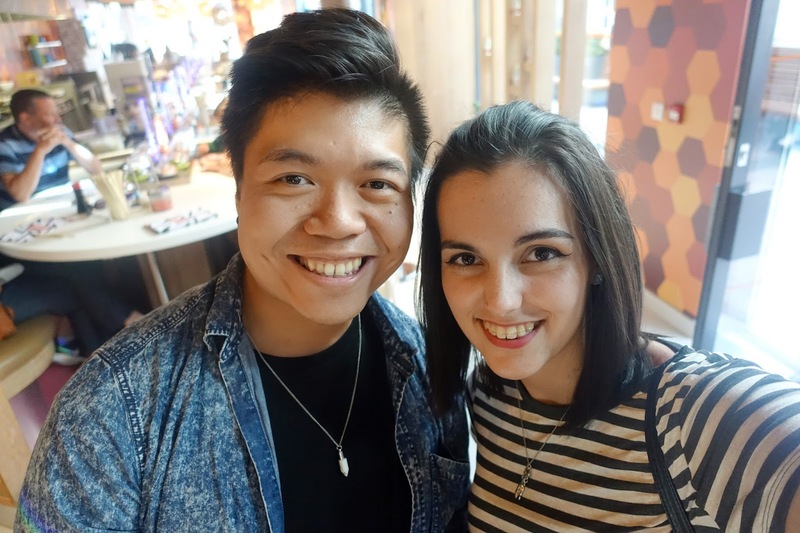 I was really pleased we chose to go to YO! 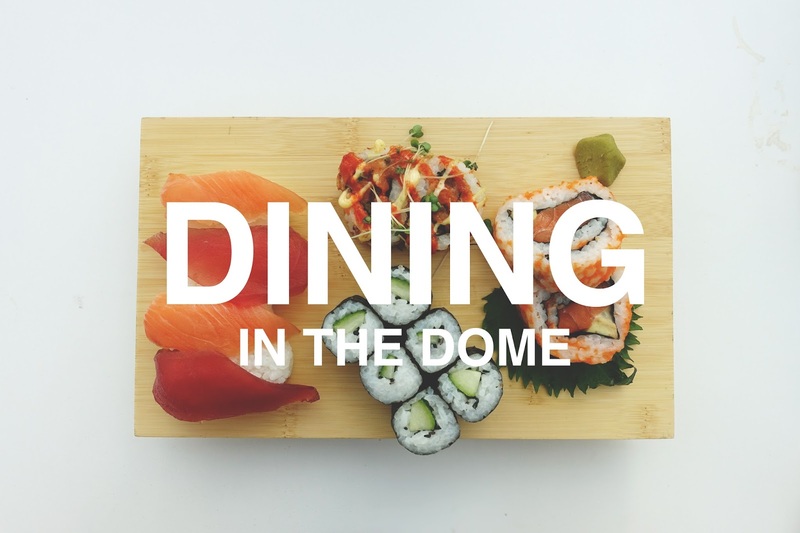 Sushi's night of Dining in the Dome. Although each course seemed quite small, we were surprisingly stuffed by dessert. 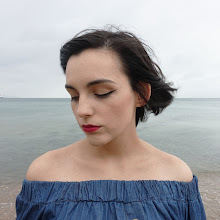 It was an evening well spent and a fun date night that I won't forget. 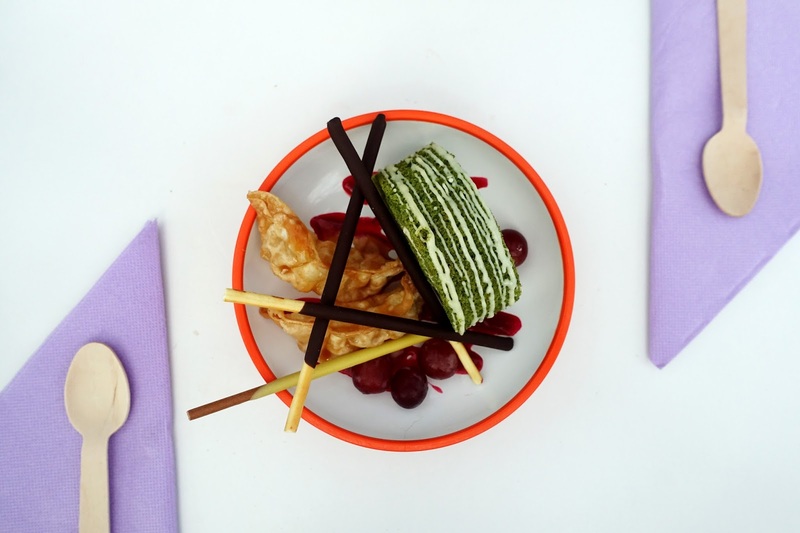 I loved trying new things like the cabbage pancake and the matcha cake which I will now be more open about in the future. Thanks Victoria Square and YO! Sushi for the incredible experience!